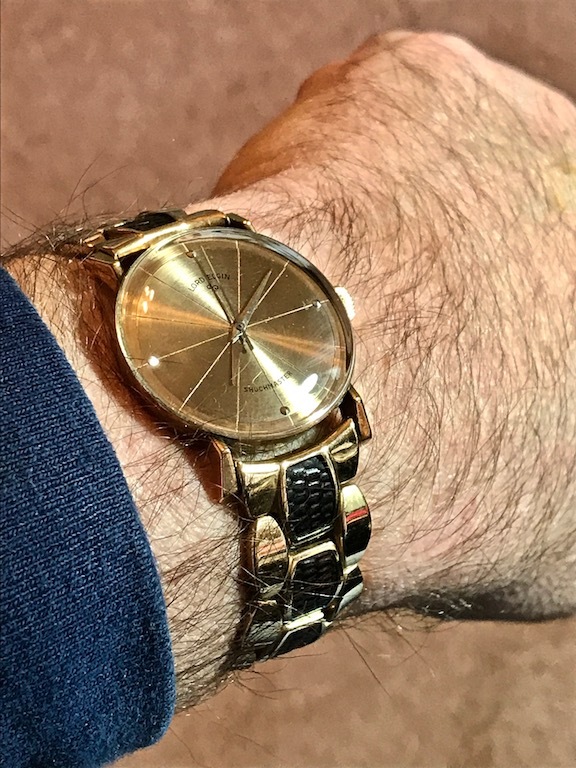 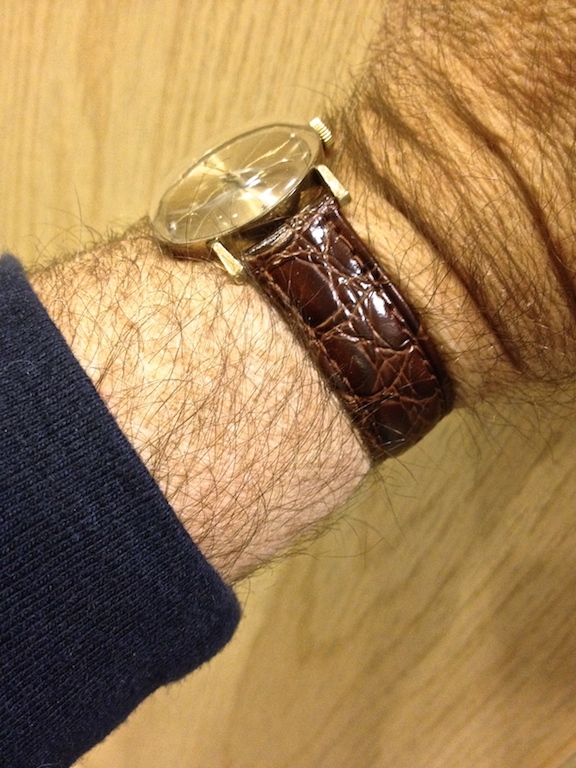 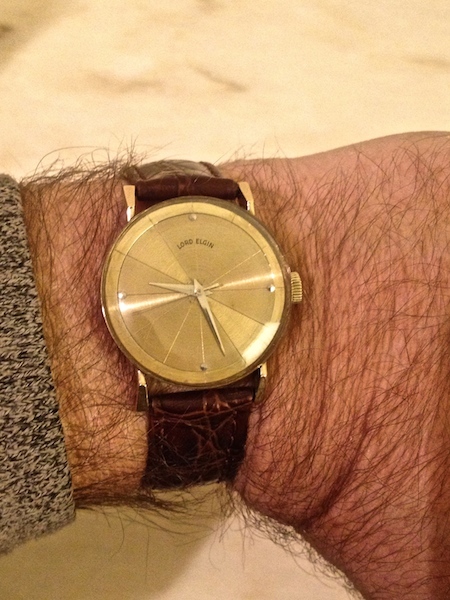 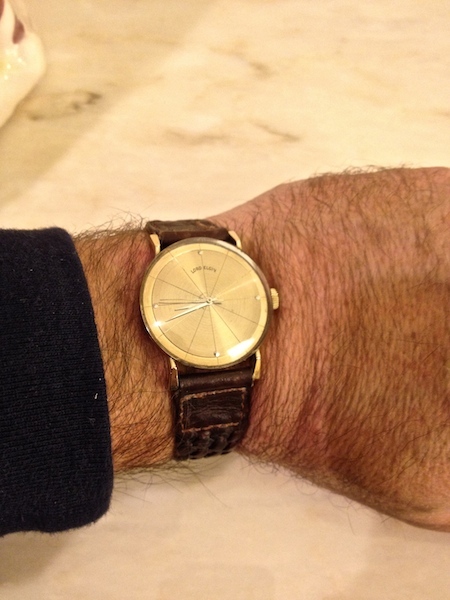 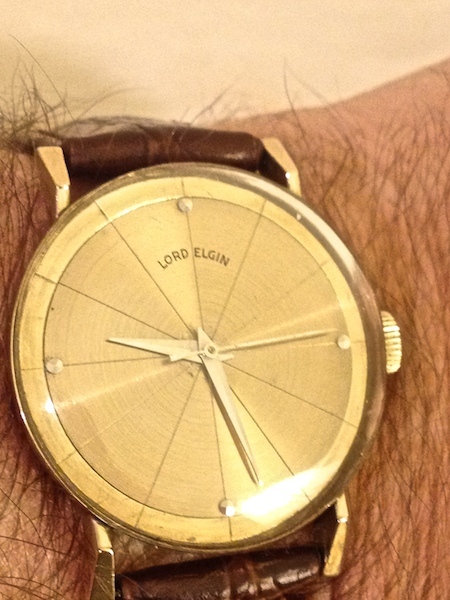 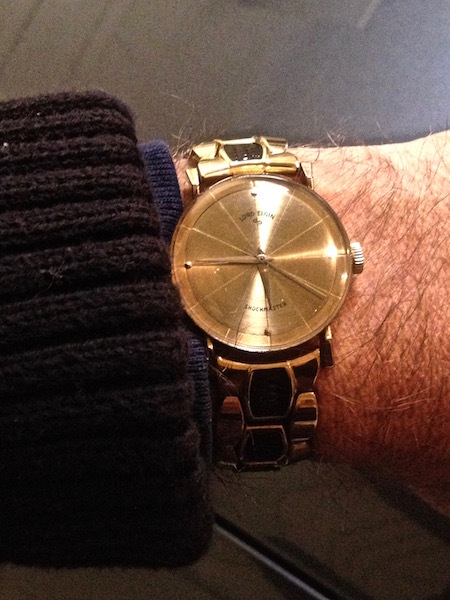 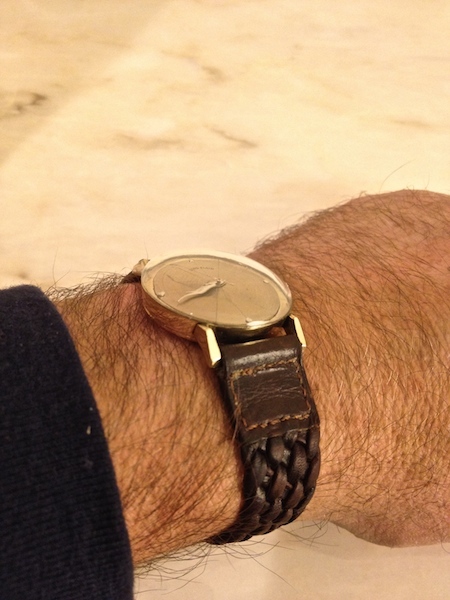 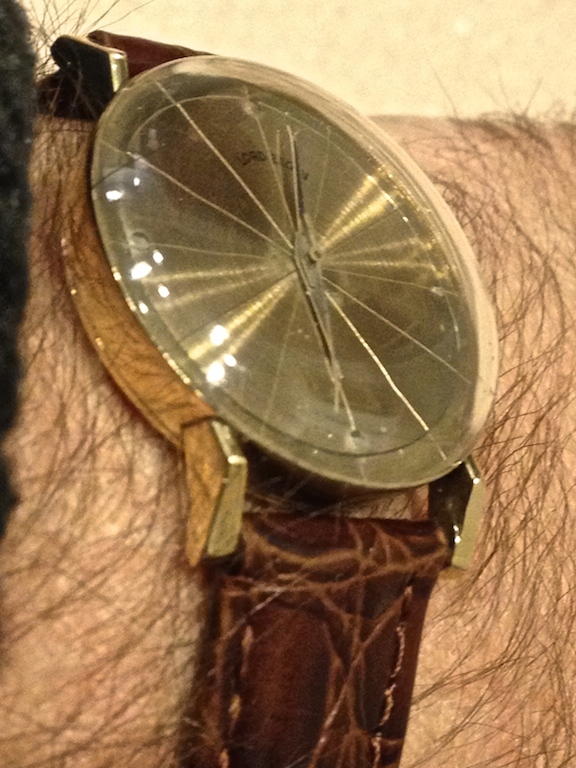 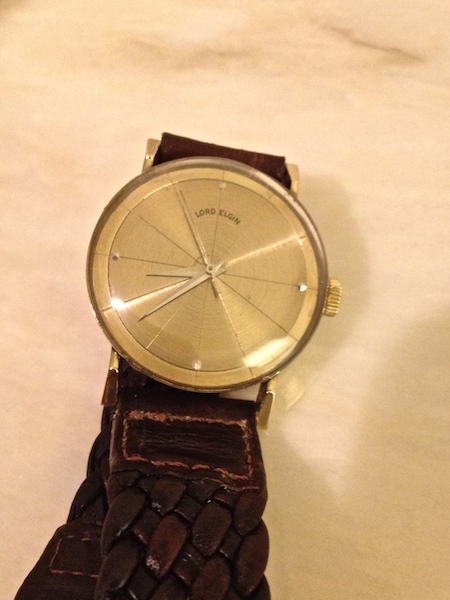 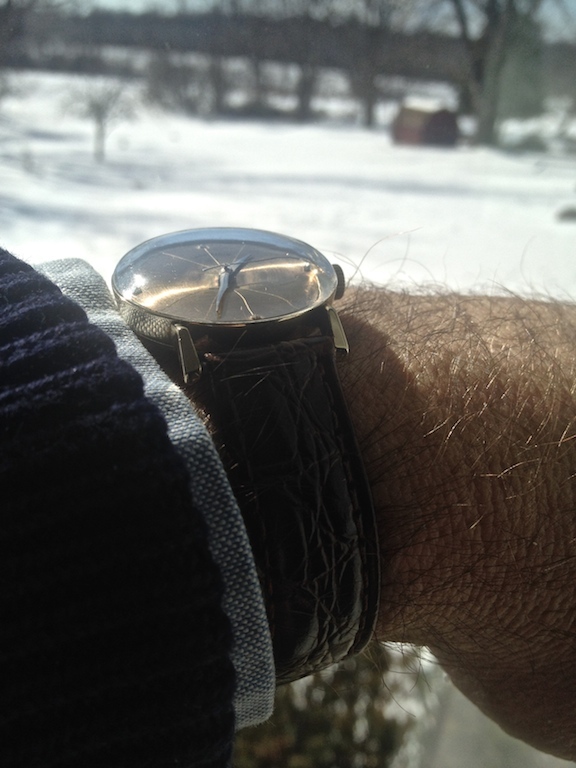 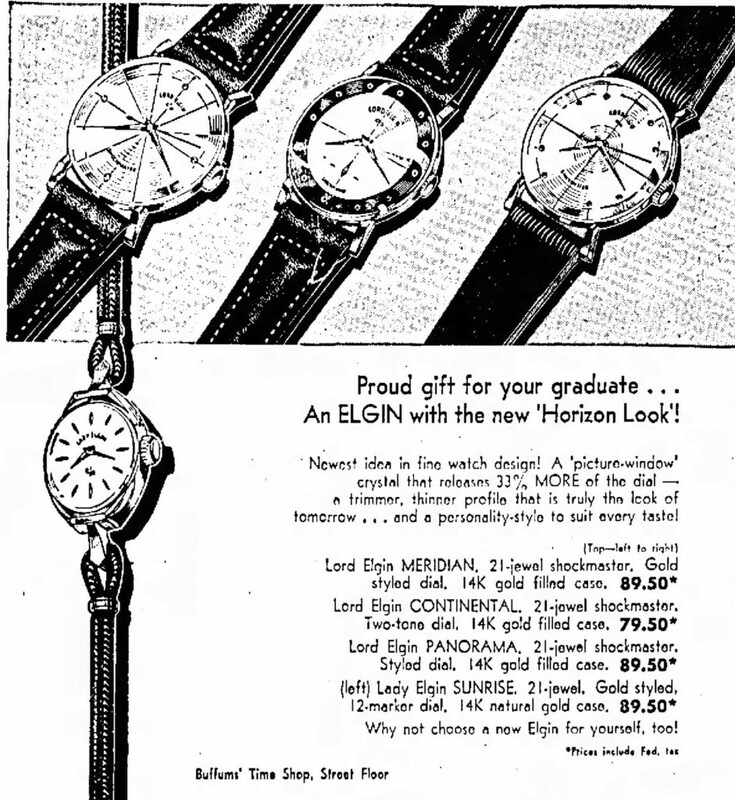 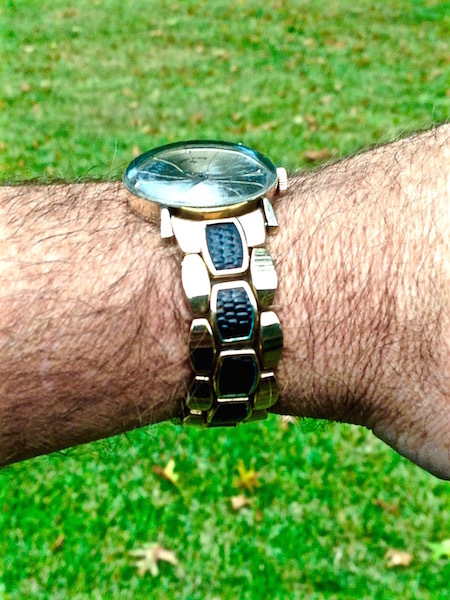 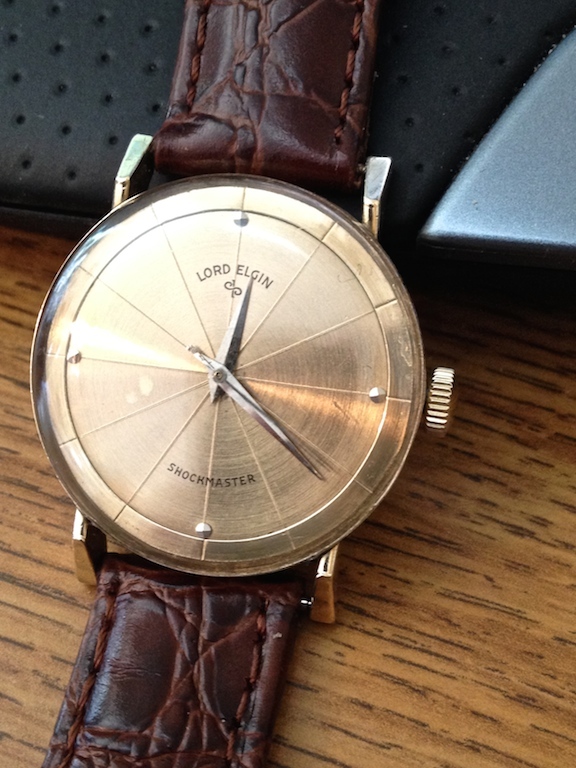 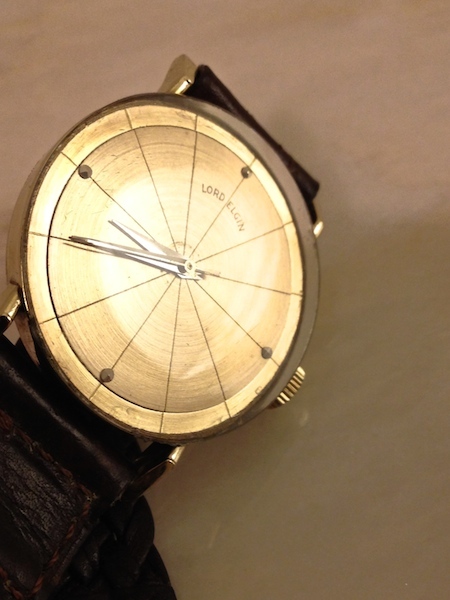 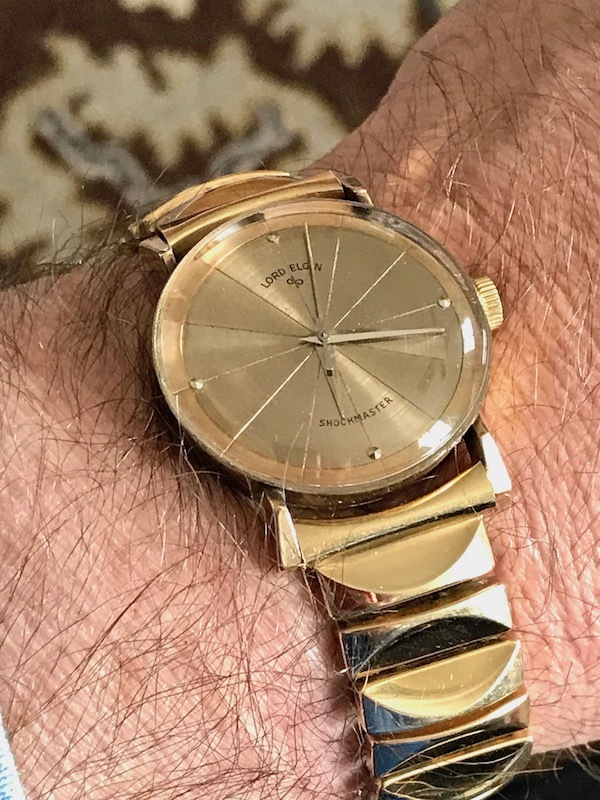 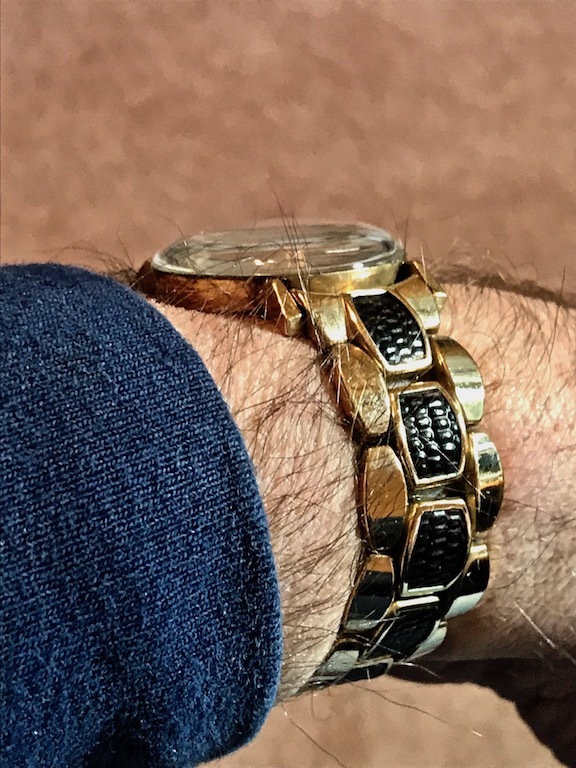 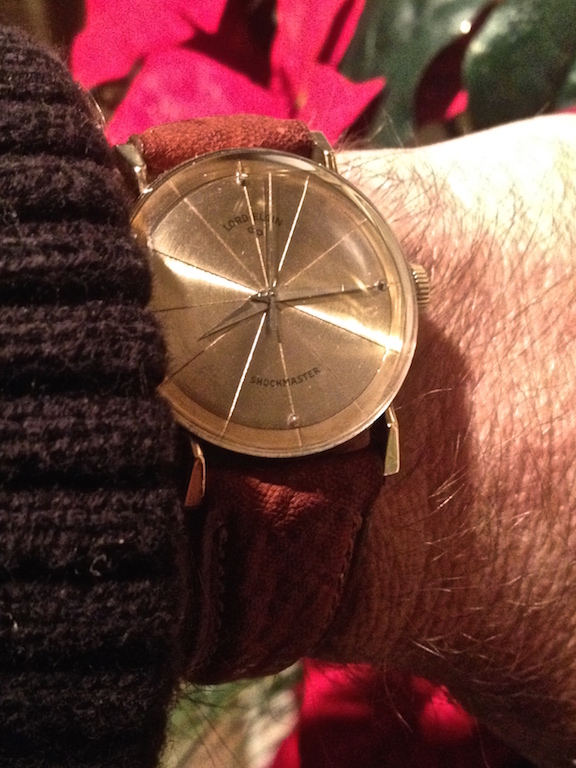 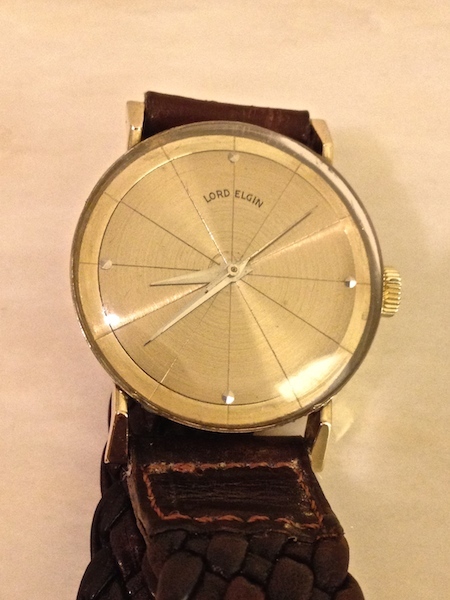 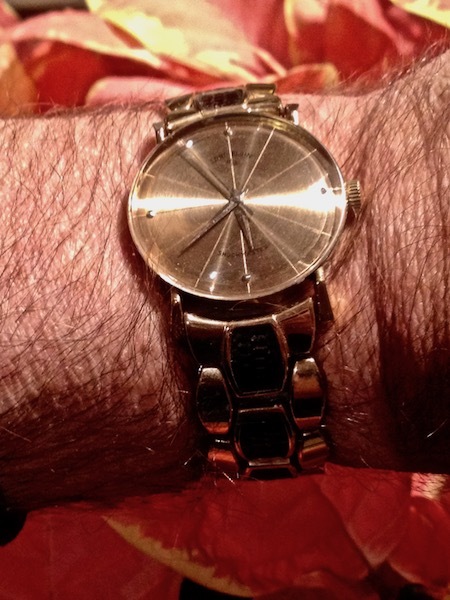 Lord Elgin Meridian | Grumpyguy Inc. 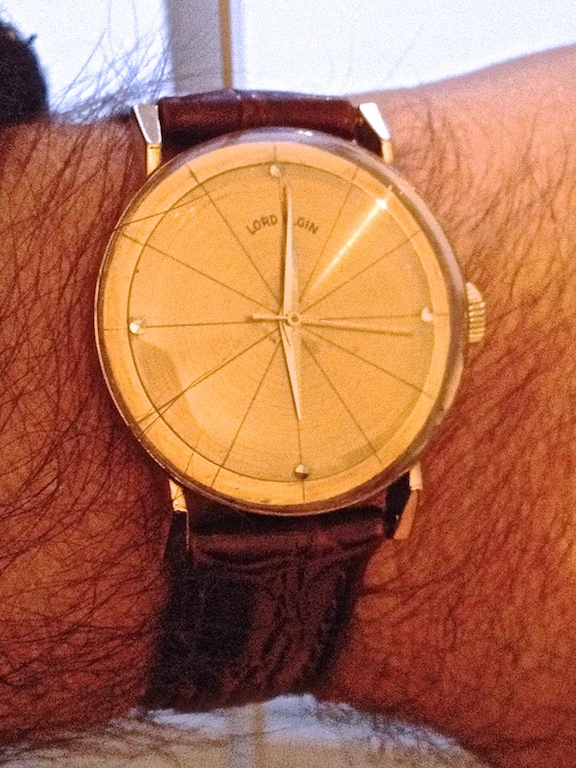 I picked up a non-working Lord Elgin Meridian from eBay the other day. 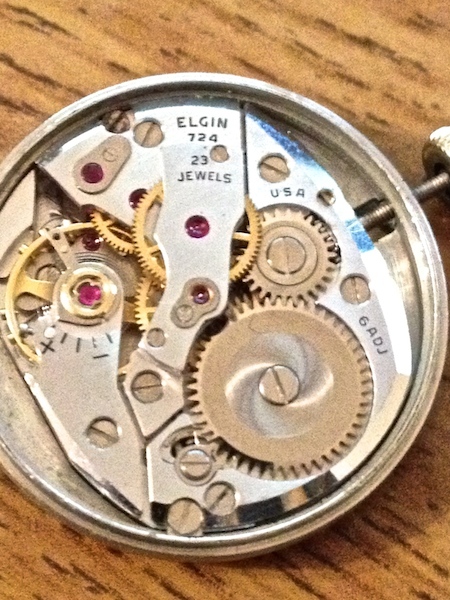 With a little help from GeneJockey who runs a blog dedicated to Elgin watches, I was able to remove the defective movement. 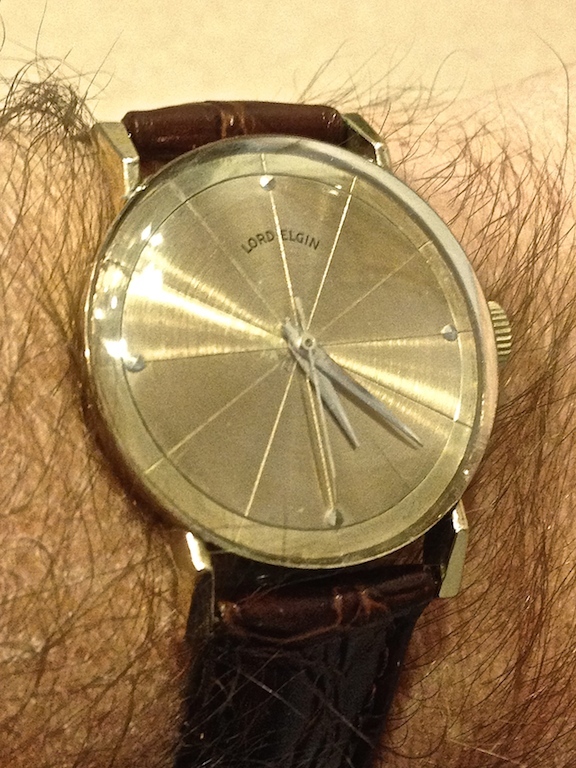 Luckily, I found a working movement with the exact dial I needed and I transplanted it into the watch. 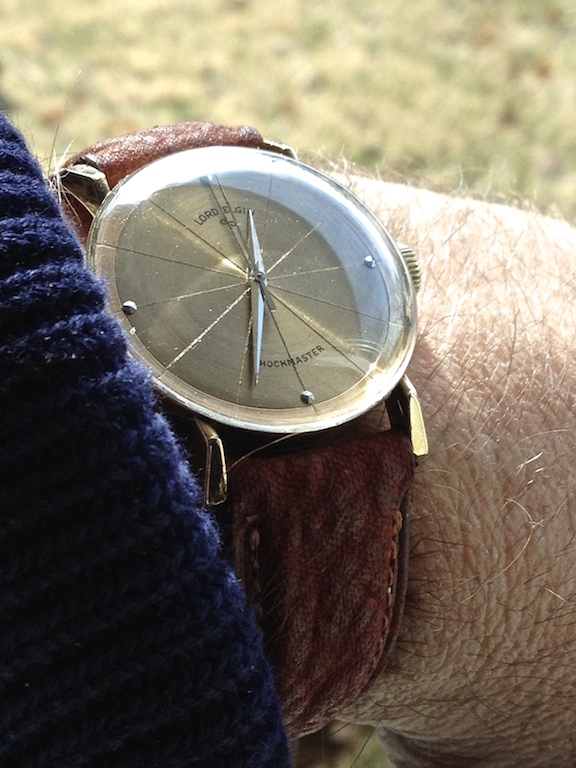 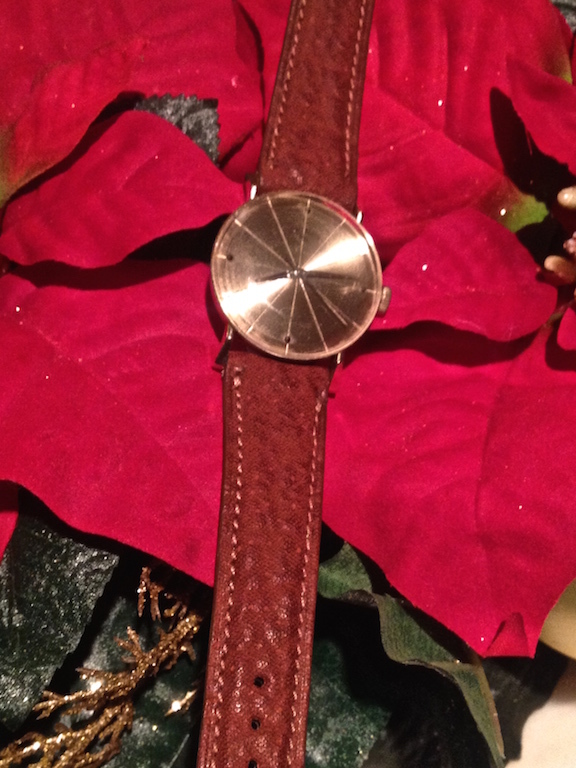 The working movement is a 724 manual wind with 23 jewels with a sweep second hand. 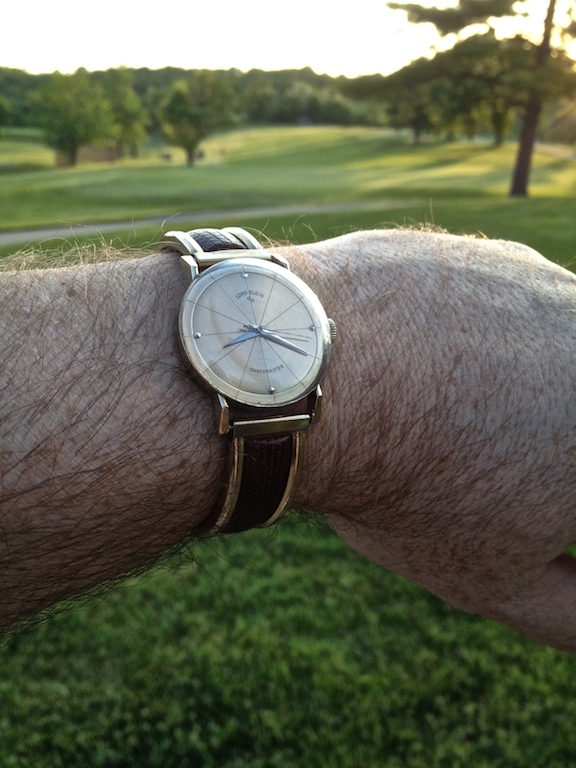 It was factory adjusted to 6 positions when it was new. 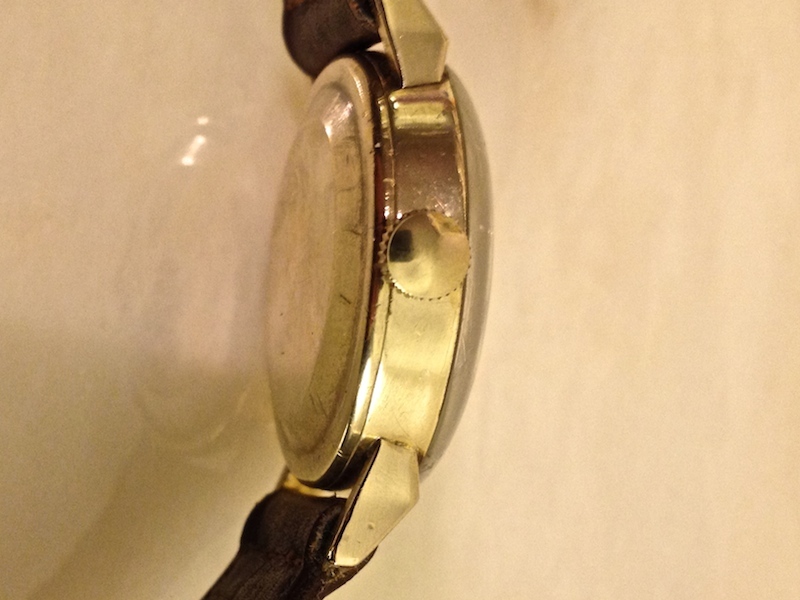 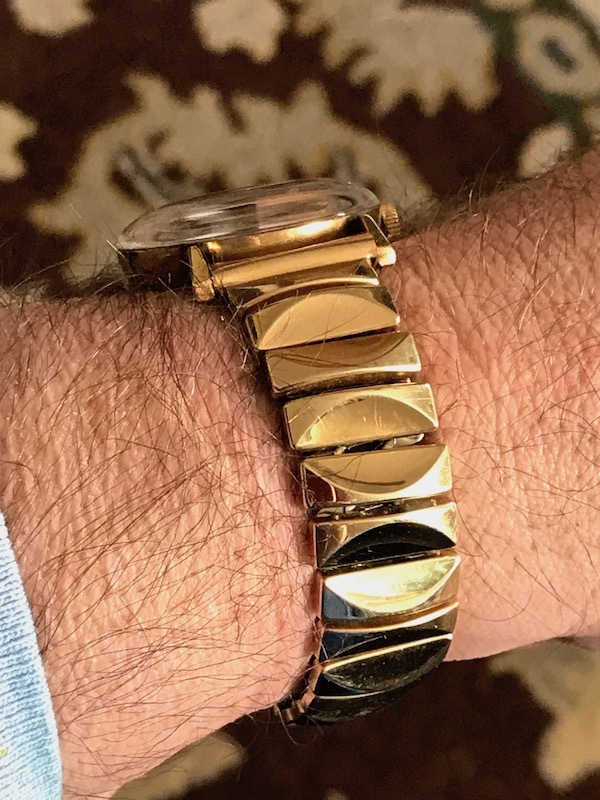 The 14K gold filled case is in pretty good shape, except for tool marks where the caseback was removed and little wear on the bottom of the lugs. 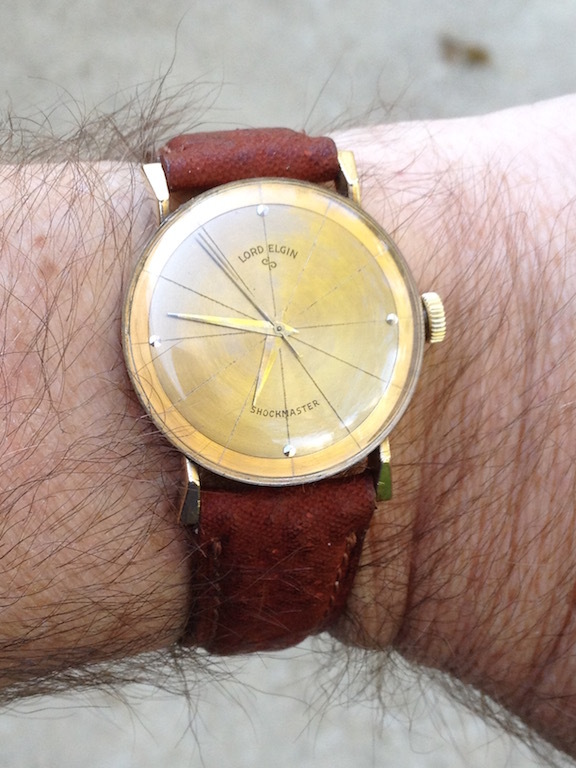 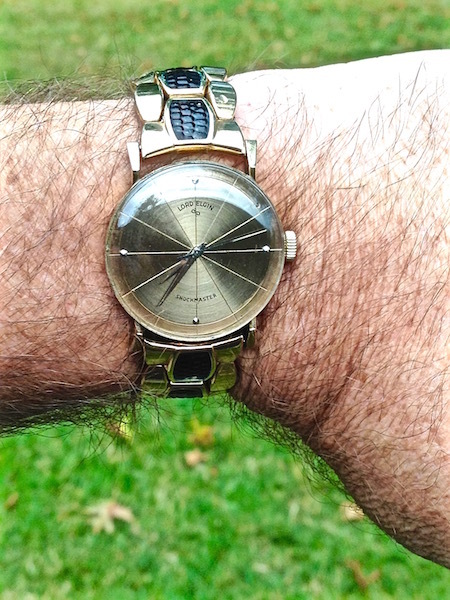 The transplanted dial has some slight imperfections, but I need to hold it up to my eyes to see it. 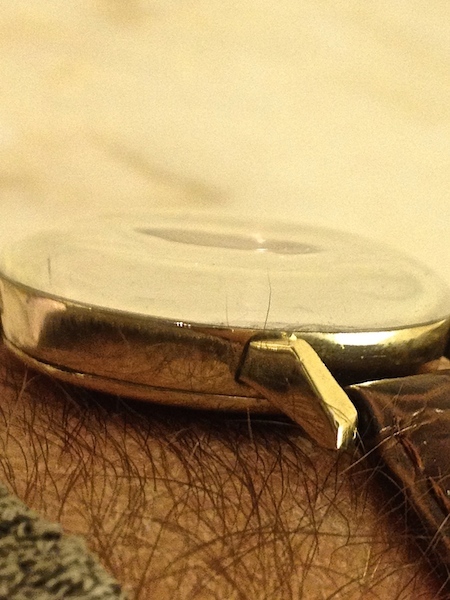 The bezel to bezel crystal, looks really good, especially after I polished it with polyWatch. 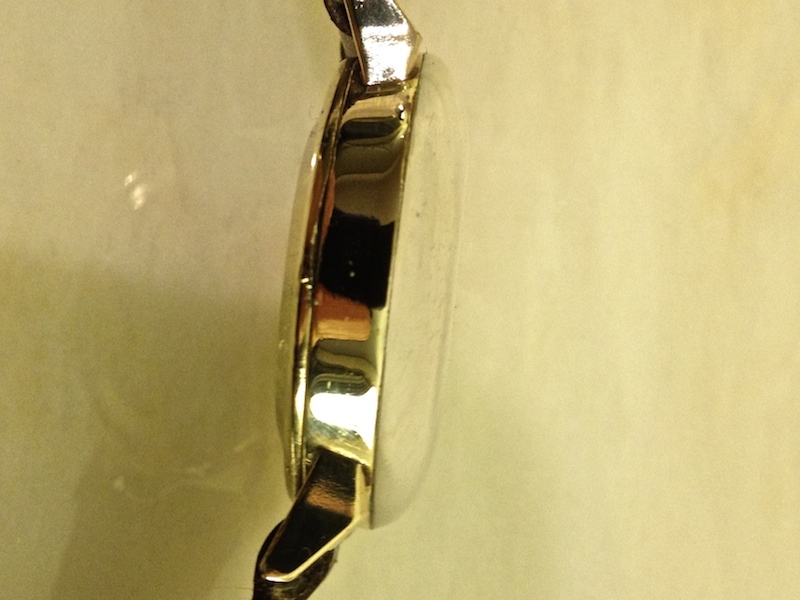 The band you see is the one it came with and is temporary until I source a nicer one. 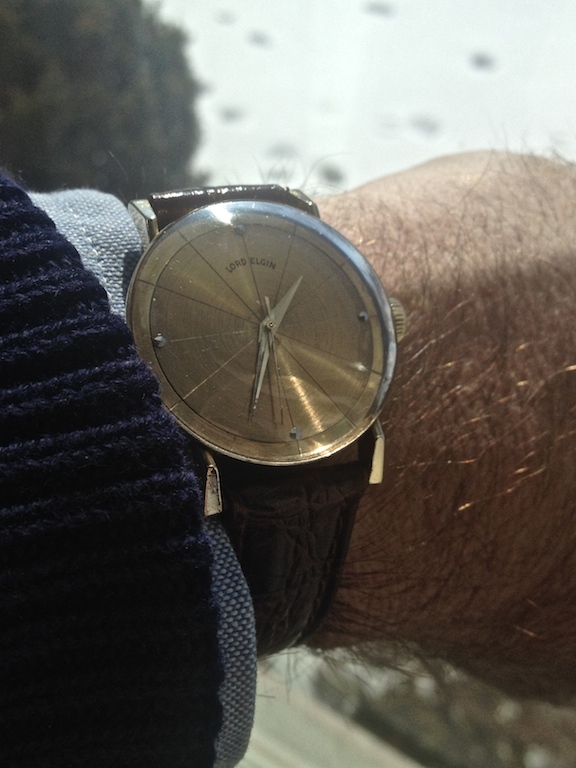 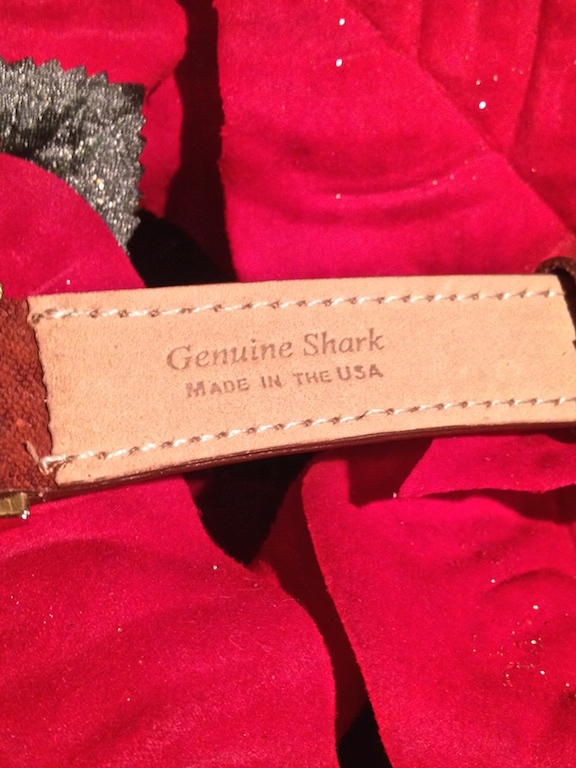 So far, the new movement seems to be keeping good time. 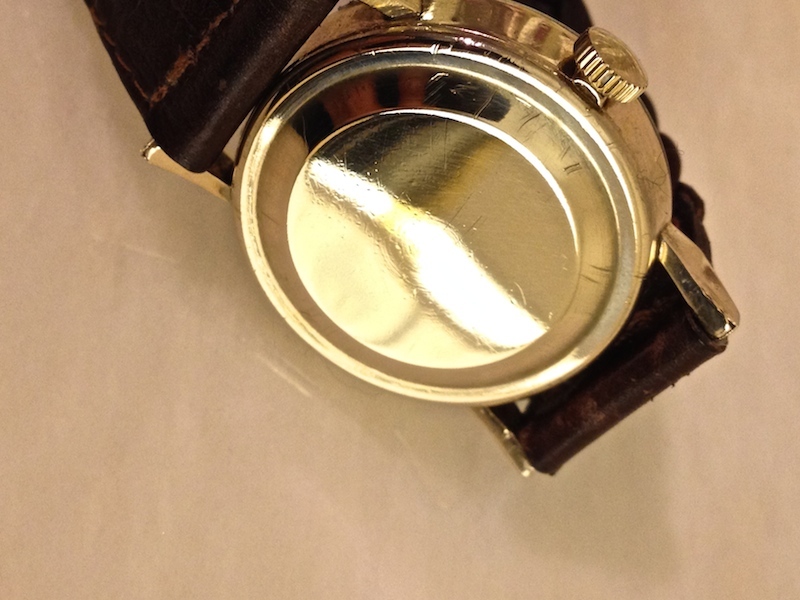 The case is 7684.